PE – 125 000 residents and 50% unemployment. The Feathermarket Hall on Baakens Street, Port Elizabeth is a heritage site. The hall, of which the original plan by Sir Wolfe-Barry of London was incorporated in the later plans of architect W. H. Miles, was erected during 1883-1885. It was opened on 10 December 1885 by the Governor, Sir Hercules Robinson. The South African Exhi Type of site: Market Hall. This hall, of which the original plan by Sir Wolfe-Barry of London was incorporated in the later plans of architect W H Miles, was erected during 1883-1885. It was opened on 10 December 1885 by the Governor, Sir Hercules Robinson. Fort Frederick on Belmont Terrace, Port Elizabeth was built overlooking the original lagoon at the mouth of the Baakens River. At the time it was the only stone structure in the district. Named after Frederick, Duke of York, the Fort contains a powder magazine and a guardhouse and originally contained eight During the second half of the eighteenth century the stock-farmers penetrated as far as the Fish River and Algoa Bay fell within the sphere of encounters between the Boers and the Xhosa. In 1799, after the Third Xhosa War had ended in an unsatisfactory ar Architectural style: Military Fort. Type of site: Fort. The Old Grey Institute on Belmont Terrace, Port Elizabeth building is partly faced in stone with brick lintels over some openings. Areas of the facades are plastered and include Tudor mouldings above the windows. The composition consists of a central double storeyed corps-de-logis with tower and two parall This old building faces the well-known Donkin Reserve with its characteristic Donkin Memorial and lighthouse. The 1850’s saw a considerable revival in higher education in the Cape Colony. At the forefront of this revival was Sir George Grey, the governor from 1854 to 1861. The establishment of the Grey Institute is closely associated with the introduction of organised education in the Cape Province under the administration of Sir George Grey. The Main Library on Govan Mbeki Avenue with its intricate decorative facade, its superb interior spaces and its stained glass windows was declared a National Monument in 1980. The erection of this library was made possible by a donation of R20 000 from the estate of William Savage and a subsidy from the Colonial Government. The building was designed by Henry Cheers and was officially opened on 29 July 1902. The Architectural style is Late Victorian with Flemish Renaissance influences. The City Hall on Vuyisile Mini Square (formerly Market Square), Port Elizabeth is a double storey town hall with stone and plaster finish. Completed in 1862, the clock tower was added in 1883. After being destroyed by fire it was reconstructewd in 1981 by Vos and Philip. Of great historic importance, it forms the focus of the square with it’s Victorian Neo-Classical Architectural style. This impressive City Hall was completed in about 1862, although the clock tower was added later. The neo-Classical style of this building impressed numerous travellers and writers in the 19th Century and is today still regarded as one of the most imposing in the world. One of the interesting homes on Bird Street is Hillside House at 14 Bird Street, Port Elizabeth – The property was originally granted to George Daniel Diesel in 1824. The building was presumably erected after that date and is richly decorated with a number of Victorian architectural elements. 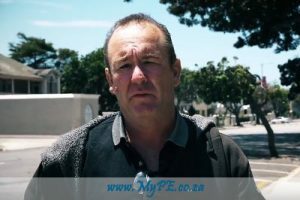 In its time it has accommodated a number of well-known Port Elizabeth citizens, including its Harbour Master, the Civil Commissioner and James Somers Kirkwood, after whom the village was named. It was declared a National Monument under old NMC legislation on 9 December 1988. 10 Bird Street, Port Elizabeth – A double storey dwelling with finely detailed timber veranda which is painted in Regency stripes. The building is in scale with the surrounding area and the historic character of the street. Alterations done by Jones and McWilliams in 1956. Architectural style: Victorian townhouse with Regency veranda. Fleming House, 20 Bird Street, Port Elizabeth – A double storey building in a plaster finish, with a cast iron veranda and small pane sash windows. The building is finely detailed and the internal spiral staircase is of special note. It is one of the first villas to have been built in this area. The b William Fleming was born in London in 1796 and arrived in Table Bay on 24 April 1818. He moved to Port Elizabeth in 1842 and joined the firm of Peter Heugh in which he became a partner, the firm being known as “Heugh and Fleming”. Fleming was deeply invol Architectural style: A Regency double storey villa. Type of site: House Previous use: Residential. Current use: Educational. Fleming House is an excellent example of a dwelling of a wealthy merchant in the mid-19th Century, executed in the Regency style. Built in 1853, the house has close associations with a number of leading citizens in the Cape Colony during the 20th Century. 8 Bird Street, Port Elizabeth – A double storey dwelling with finely detailed timber veranda which is painted in Regency stripes. The building is in scale with the surrounding area and the historic character of the street. Alterations done by Jones and McWilliams in 1956. Architectural style: Victorian townhouse with Regency veranda. Type of site: House.